Our Android Custom Camera Preview plugin adds camera preview support and functions to overlay the feed with a bespoke graphic (crosshair, frame, etc) and custom texts. The plugin also provides a function to instantly capture a photo without launching the native camera app. Photos are saved to device cache and a filename passed back to your Corona code for custom handling. 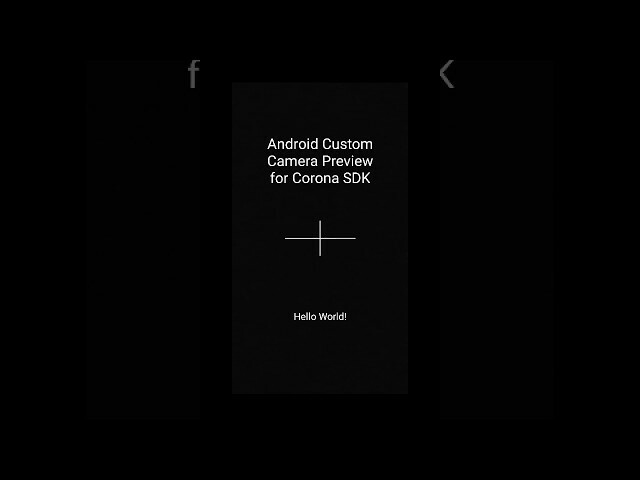 Fully documented at https://corona.qweb.co.uk/plugin-android-custom-camera-preview and set to be expanded with further functionality later on. If you're in need of a specific feature, please get in touch and if we're able to add your feature in, we will.